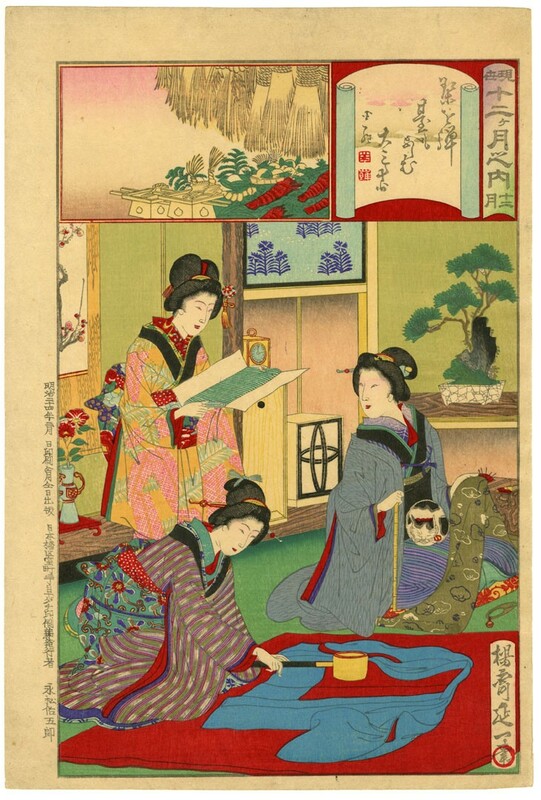 Description: Prepapering kimono for the New Year. The month December, from the series Modern day twelve months (Gensei jūnikagetsu no uchi). Published by Nagamatsu Sakugoro in 1891.